No matter what type of project you need work done on around your house; you will likely need to purchase products and that means you’re going to have to choose a specific company. There are many choices throughout Oak Park and the rest of the region, including home improvement superstores that have just about everything you would need for any room in your house, including your outdoor living space, lawn, garden, and much more. These warehouse style stores also carry replacement windows and doors, but there is a bit of a catch. The products they carry are considered the bottom of the barrel, entry-level style windows and doors, yet they are advertised at incredibly low prices. The average cost of a quality window is between $250 and $700, but the basic, double hung windows you may find that one of the stores could cost $125 or slightly more, depending on what type of window you’re actually looking at. There are also small, independent contractors offering various replacement windows and doors, and even those that don’t have a showroom or wide selection may have limited experience and most of the products they sell will cost a little bit more because they have to go through a more legitimate company to purchase the windows you want. The best type of company is one that has a showroom with a wide selection of products that you can actually see, try out to get a feel for how they operate, and have a chance to determine whether they would look right in any particular room in your house. There are a few companies like this in the area and Quality Windows and Doors is one of them. So why choose Quality Windows and Doors for your Oak Park home? There are many reasons and below are just 7 to highlight. Each and every one of the more than 30 employees of Quality Windows and Doors is 100% dedicated to ensuring that each and every customer or client who contacts them or walks through their showroom doors is treated with the utmost respect and ends up being completely satisfied with their choice of window and the quality once they are installed. It’s easy to say that a company puts customers first, but it’s something else entirely when one actually does that. Quality Windows and Doors has won the Ventura County Star Reader’s Choice award for 8 years running; that doesn’t happen by accident. As mentioned, getting the recognition as being a reader’s choice for a major publication such as the Ventura County Star is a great honor, but it doesn’t happen by accident. Quality Windows and Doors has been putting customer service and support as one of its top priorities for more than 35 years. Every single person who contacts us either by phone, email, or walking in their showrooms in Oxnard or Santa Barbara is treated like they are the most important homeowner in the area; because they are. It’s easy to offer replacement windows and incredibly low prices, but those windows are usually of very low quality. Quality Windows and Doors only offers the highest quality products for every single homeowner in Oak Park and elsewhere in the region. There’s no reason to choose anything less than good quality when you’re talking about such an important home improvement project as replacing the windows or doors. Quality Windows and Doors was founded in 1980 and in the 35 years since it has focused on providing the most experienced sales representatives, installers, and other professionals to ensure that every homeowner chooses the products that will best suit their house, their family, and their budget. Whenever you’re talking about a major home improvement project (which replacing the windows and doors is) experience can make a world of difference. 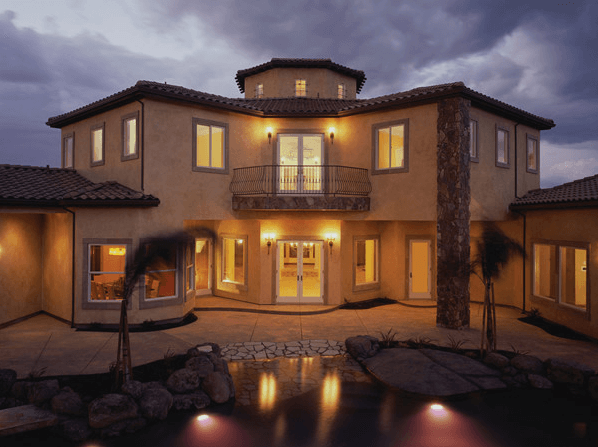 Because Quality Windows and Doors has been so successful through the years, they have two locations: one in Oxnard and one in Santa Barbara. This provides flexibility inconvenience for people in Oak Park and throughout the area. The experienced sales representatives and installers at both of these locations are the best in the business. 6. A number of employees. With more than 30 employees over two locations, this company has more than enough people to ensure that every customer who steps through the doors, contacts them by phone, or emails will get a prompt and courteous response. It also helps to ensure that from the moment a decision is made and the homeowner purchases windows or doors, it won’t be long before the installation experts arrive at their house to install these products. As mentioned, Quality Windows and Doors has been the Ventura County Star Reader’s Choice award winner for 8 consecutive years. There is no other replacement window or door company in the area that can match their selection, service, and experience. When you understand the importance of this particular home improvement project, how it can positively impact your home’s value, comfort, and security, you should want the best company from which to purchase your brand new windows or entry doors. For that, there is only one choice: Quality Windows and Doors. When you’re ready to make the right decision for your home and family, contact Quality Windows and Doors today.